In 2015, Jennifer Vetter decided to change careers and become a teacher. The 46-year old quit her well-paying management job at an orthodontic clinic in Gilbert, Arizona, to go back to college full-time and become a special-education teacher. She received a scholarship to earn her master’s in education, refinanced her home to help with other expenses and went all in on her dream of teaching kids with special needs. Then she got her first couple of paychecks. “With everything taken out, it was an absolute shock to me,” she says. Vetter did the math. After health care costs, deductions for taxes and her pension, and the number of hours she was working – sometimes 10 or more hours per day – she was making about $6 an hour. Weekly, she made about $300. Low pay has led teachers across the country to organize and strike for better wages and greater investment in schools. 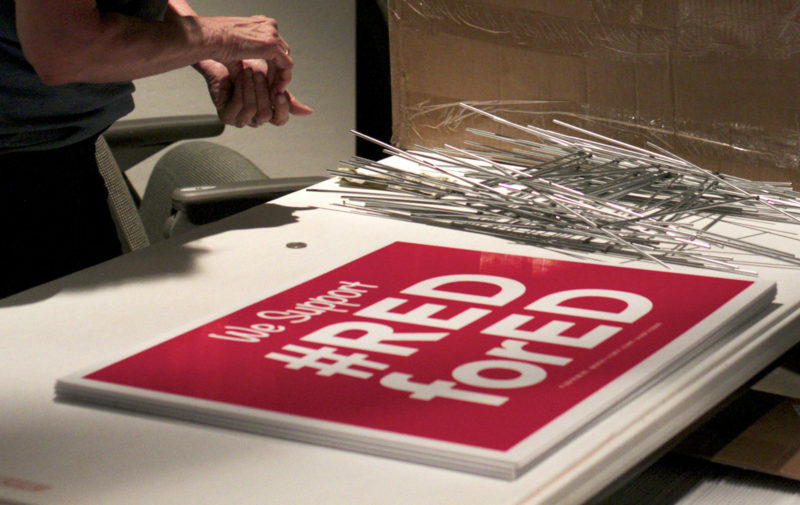 In Arizona, West Virginia, Oklahoma, Kentucky and Colorado, the growing “Red for ed” movement is demanding legislatures in these red states invest more money in schools and school staff. “Teachers found that only by striking, only by showing their force in this way, would they be able to sort of move the needle for themselves,” she says. Many of the teachers she spoke with at an April teachers’ protest in Phoenix, Arizona, told her they were struggling to make ends meet. “I met a lot of teachers who had second and third jobs, teachers who had roommates,” she says. Vetter participated in the teachers’ strikes in Phoenix, but change hasn’t come quickly enough. She’s since left teaching to return to her old job at the orthodontic clinic, where she makes in one month what she used to make in three as a special education teacher. She hopes that Arizona increases education funding in time to benefit her son. He’s halfway through his master’s program in education. Listen to the Educate Podcast to hear more about what teachers are demanding, and where they are poised to go on strike next.